Donald Trump said it was her “worst mistake of the political season”. HILLARY CLINTON HAS said she regrets saying half of Donald Trump’s supporters belong in a “basket of deplorables” – a remark the billionaire Republican criticised as her “worst mistake of the political season”. The Democratic presidential candidate came under fire for remarks made at a New York fundraiser late on Friday. “To be grossly generalistic, you could put half of Trump’s supporters into what I call the basket of deplorables,” Clinton told a crowd at the LGBT for Hillary gala. She added that those people are “irredeemable, but thankfully they are not America”. Basket of Deplorables quickly became a trending hashtag on Twitter, with users venting their fury at the former secretary of state. A mock account called Hillary’s Basket, deriding the former first lady and US senator, was also set up. With less than two months to go before election day, and the race still tight, Clinton walked back her remarks yesterday. “Last night I was ‘grossly generalistic’ and that’s never a good idea. I regret saying ‘half’ — that was wrong,” she said in a statement released by her campaign. Clinton then listed a number of “deplorable” things about the Republican presidential candidate. It’s deplorable that Trump has built his campaign largely on prejudice and paranoia and given a national platform to hateful views and voices, including by retweeting fringe bigots with a few dozen followers and spreading their message to 11 million people. “It’s deplorable that he’s attacked a federal judge for his Mexican heritage, bullied a Gold Star family because of their Muslim faith, and promoted the lie that our first black president is not a true American. “So I won’t stop calling out bigotry and racist rhetoric in this campaign,” she said. Trump fired back by calling her comments insulting on Twitter, then issuing an angry statement. While Hillary said horrible things about my supporters, and while many of her supporters will never vote for me, I still respect them all! 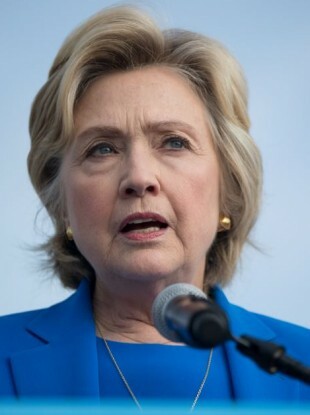 “Isn’t it disgraceful that Hillary Clinton makes the worst mistake of the political season and instead of owning up to this grotesque attack on American voters, she tries to turn it around with a pathetic rehash of the words and insults used in her failing campaign?,” Trump wrote. “For the first time in a long while, her true feelings came out, showing bigotry and hatred for millions of Americans,” he added in a statement, calling Clinton “unfit” to be president. He later compared Clinton’s statement to Republican Mitt Romney’s 2012 presidential campaign gaffe, when he said that 47% of the people would vote for Barack Obama’s re-election because they are “dependent upon government” and “believe that they are victims”. Most polls show Clinton ahead in the race, but some show Trump is closing the gap. Email “Clinton rows back on 'deplorables' remark after backlash ”. Feedback on “Clinton rows back on 'deplorables' remark after backlash ”.